Blue Vista’s superb location makes it perfect for family holidays or romantic getaways. East Beach is safe for swimming and great for surfing. 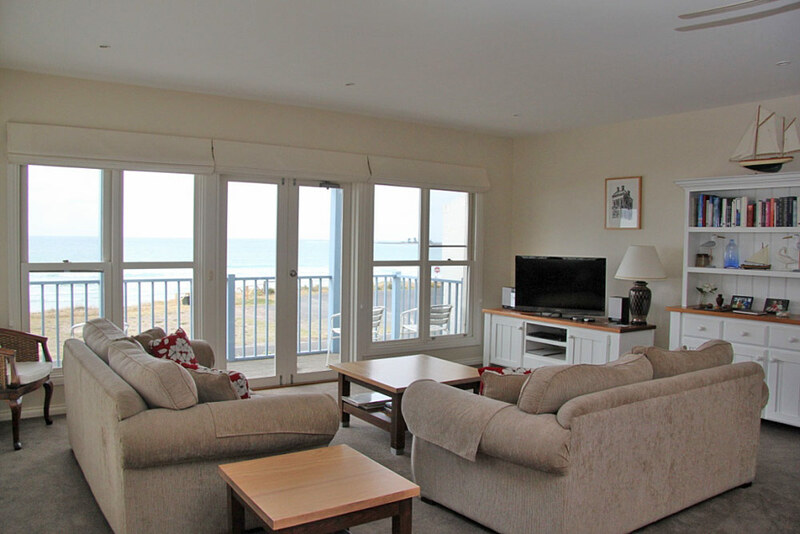 Relax in comfort and marvel at the breathtaking sea views – ever changing, always amazing in both summer and winter. The upper level is a very spacious living area with spectacular 180º ocean views. The living, dining, and kitchen areas face the ocean and the sunroom has a rural view to the Moyne River. There are sliding doors to separate these areas. The sunroom has a double bed sofa and separate toilet and basin.